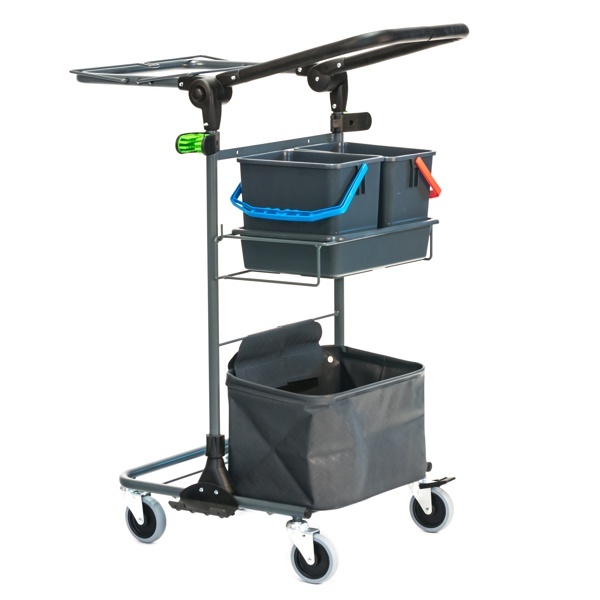 The M1 trolley product range is designed to meet the basic needs of a cleaning trolley. They are easy to assemble and use. These trolleys are small in size but our canvas and EVA AddOn parts can make the trolley bigger than its actual size and more functional. 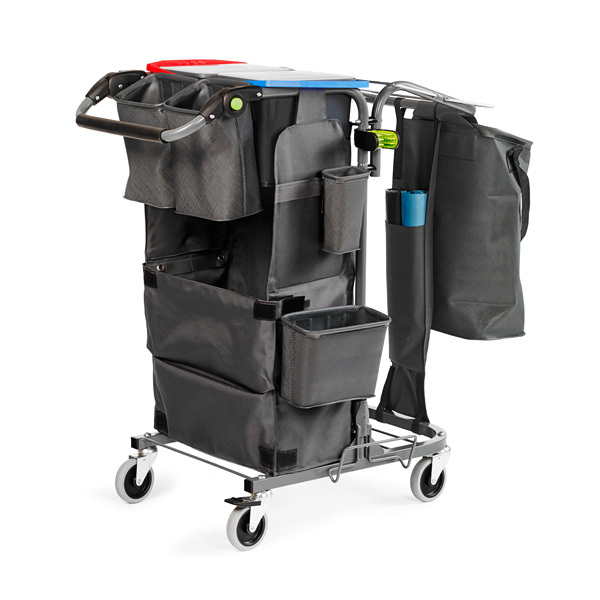 Trolleys are also designed for pre-prepared cleaning with Velcro, pocket mops or our Rekola Reflex cloth cleaning system. 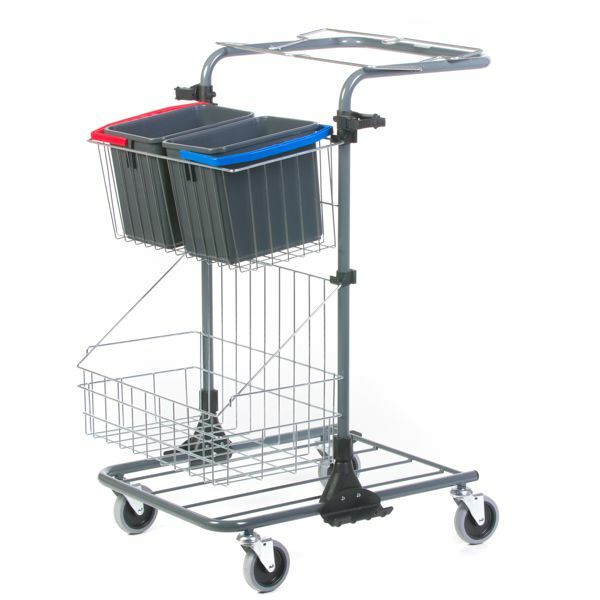 Customize your M1 trolley with our special AddOn products to enhance functionality and performance. Light-weight and strong. Easy to manoeuvre and flexible. Rekola Motion M1.1 is a compact yet full-grown cleaning trolley that can be expanded to take on bigger tasks. 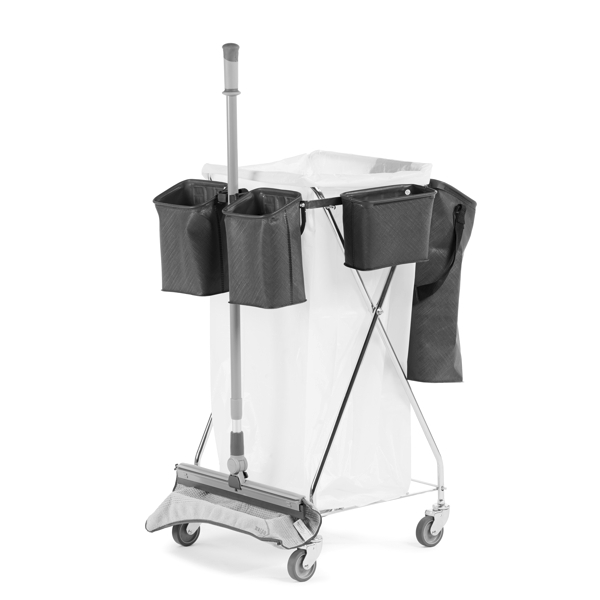 This trolley is our classic model which meets the basic requirements of a cleaning trolley. It is simple and strong but has enough space for cleaning utensils and materials for distribution such as toilet rolls. Also with our AddOn products its performance and functionality can be enhanced.